About Morgan: I was born and raised in southwest Michigan, originally Paw Paw and now Kalamazoo. I am 23 years old and am currently a Western student studying Criminal Justice and ASL. I have been an athlete my entire life and growing up in a big family made for lots of friendly competition. I was a big runner in my day, (not so much anymore!) and began weightlifting at 17. I played volleyball, basketball and even dabbled in musical theater. I wanted to try and do everything, and do it at the best of my ability. 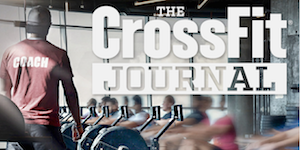 When high school came to an end, I needed an outlet for my active/competitive side, and CrossFit gave me that and more than I could have ever imagined. How you started at CrossFit Torrent and what made you transition into coaching: I have been exclusively crossfitting for over 4 years now, and have been coaching for 2 of those years. After becoming a crossfit athlete I quickly realized that coaching was something I was passionate about. So I decided to pursue my L1. There, at that seminar, is where decided I was hooked. I am new to the Tides/Torrent family and cannot be more grateful and excited to be apart of such an incredible team. My favorite part of being a coach is... There’s a moment. Every new athlete has one… where they finally reach a goal that they thought was impossible. From a double under to a bodyweight back squat to a pullup, or even hitting their nutrition goals or rehabbing an injury. And for the first time, (first of many) they have a moment, where their face says it all. I CAN do this. I CAN be an athlete. I CAN do what thought was impossible just a few months ago. I live for those moments. I became a coach for those moments. If I am not at CFT you can find me: Hiking, snowboarding, reading, hanging with my friends and family, trying new sports (softball leagues, rock climbing-works in progress), playin with my pup, Bailey, and eating peanut butter.